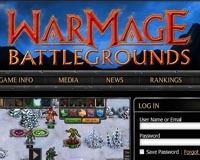 Warmage Battlegrounds is a free to play online multiplayer fantasy battle game where you’ll build and configure a mighty combat force from an enormous collection of powerful spells, deadly battle units, ancient artifacts, and magical items and then attempt to vanquish your enemies in highly entertaining turn-based battles. After creating a Warmage character, commander of your combat force, you are just seconds away from exciting, multiplayer fantasy battles. 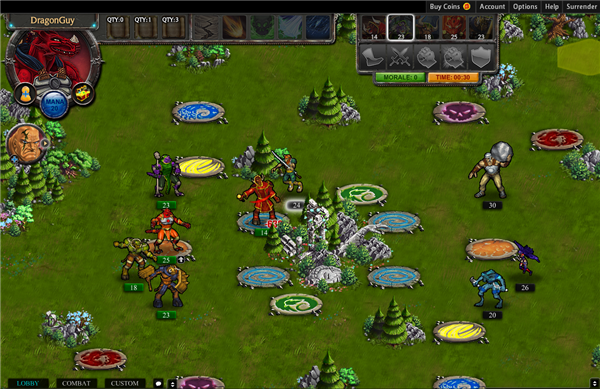 Warmage Battlegrounds is designed for 2-4 players, is free to play, and runs in any web browser without a download. This game improves upon traditional turn-based, tactical combat strategy game mechanics in many ways including how they’ve been adapted to deliver a fast-paced, and rewarding, 2-4 player cooperative and competitive fantasy battle experience. 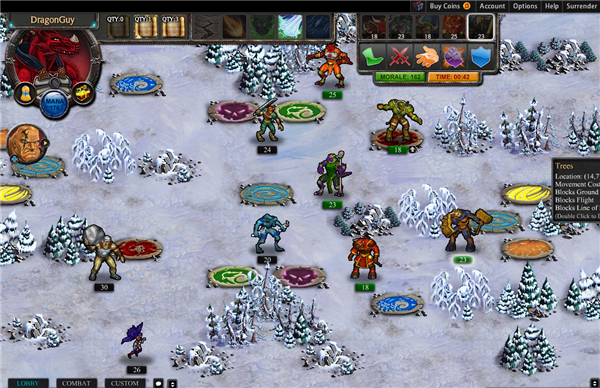 Combat mechanics reward strategic thinking, knowledge-based skill, and careful battle preparation, while simplifying the decisions made during each players’ turn, to deliver loads of fun for any fan of turn-based strategy games. Battlegrounds are hex tile-based fantasy environments filled with strategic obstacles and other interesting elements designed to provide you with a variety of gameplay experiences and the opportunity to experiment with new strategies and interesting ways to configure your fantasy combat force. As you complete battles, achievements, and bounties you may be rewarded with special items as well as gold and prestige which are used to purchase and unlock new content. While in the game’s lobby, you can chat, build and configure your combat force, research Battlegrounds and items, join the matchmaking battle queue, set-up private matches to battle friends, view Warmage character information and player rankings, watch battles in progress, browse the store, and much more. Available in several languages and can be played with a Facebook or Twitter account. Related Tags: 2D, fantasy, Turn Based.